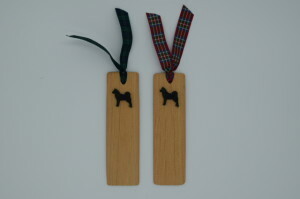 The items on this page are the most recent additions to the range of products in our shop. 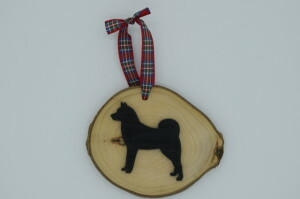 We have a selection of 5 items made by Magic Thistle Crafts in Scotland. 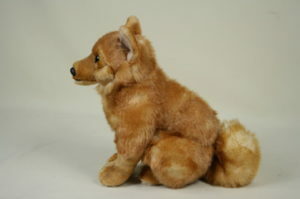 They all have a black outline of a Finnish Spitz attached (in one of two different sizes according to the item). 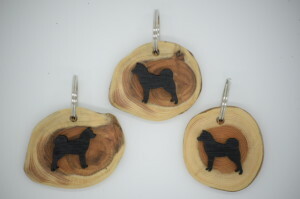 We have a hanging decoration, a key ring, and a fridge magnet all made from yew wood. 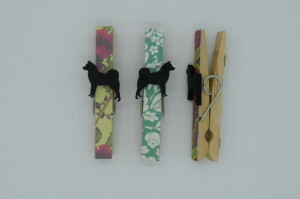 We also have wooden bookmarks and clothes peg fridge magnets. 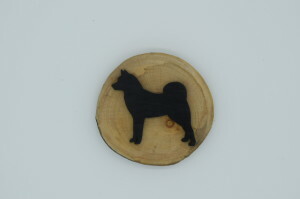 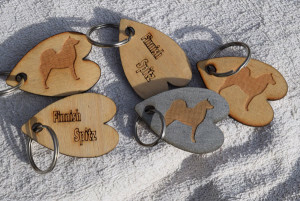 We also have treated wood veneer key rings with a recessed image of a Finnish Spitz.